Save me! Wait nevermind, I'm fine. Whatever the case may be, express both of your confused mixed feelings with this mind blowing dual meaning tee. Quality of the shirt is great! Print is perfect! 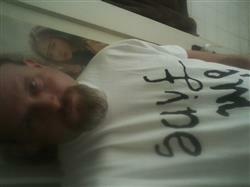 I am currently obsessed with "I'm Fine" so I am ALL about this shirt!! Can't wait to wear it to the concert!! I think we all know that the shirts look and feel great by now. Fast shipping? Absolutely! Another great graphic design, shout out to the creativity of the staff, the drip design looks great. Also shout out to the AKP customer service for reading my last BTS review and sending a nice gift with my package ^^ Thanks, ya'll are the best!